The Brown Stonefly Nymph is one of a series of heavy stonefly nymphs that are fast sinking and imitate stonefly and other crawling nymphs. Head : Copper bead No.2. Tail : 2 Brown goose biots. Wings : Two dark mottled turkey lacquered and cut into a V shape. Legs : Micro rubber legs, one pair each side. Antennae : Two brown goose biots. 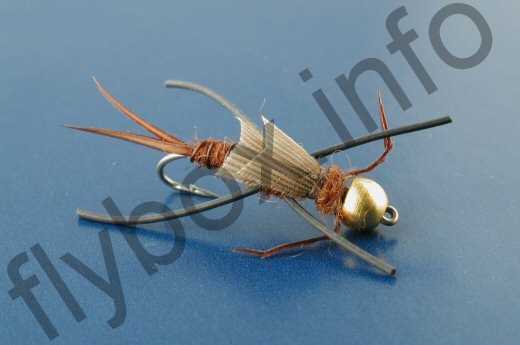 Currently there are no comments about the Brown Stonefly Nymph fly pattern from other fly fishermen yet.